Holy moly! Things are busy around here. Deep breath. Now exhale. 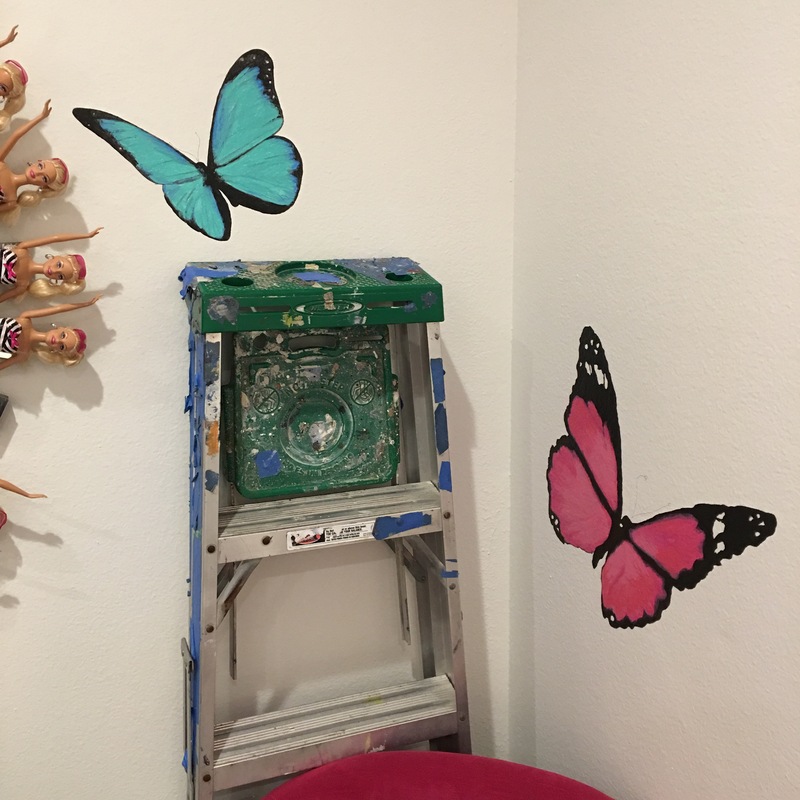 I’m clearly behind on posting my updates on Brookie’s bedroom makeover . The room is on schedule but I have not had the time to pen the progress . I promise we’re having a blast with her room & lots of fun things are happening around here. 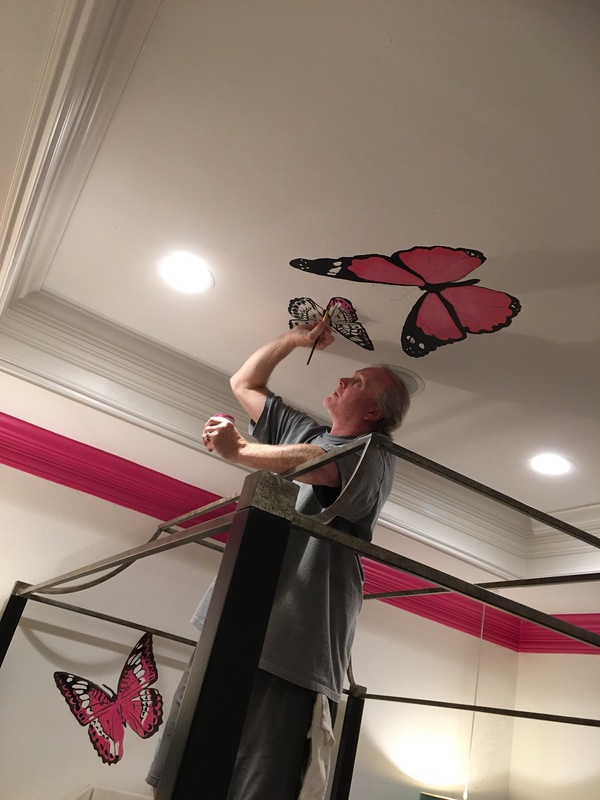 This is James Peck (a.k.a Michelangelo ) of KidzDigz painting the butterflies around Brookie’s room. 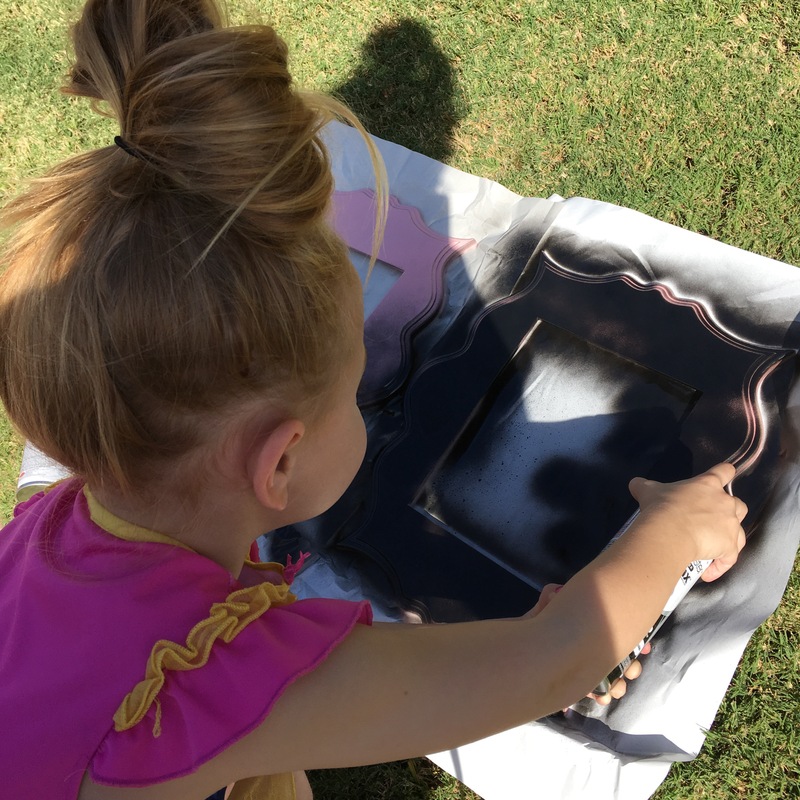 Brookie is a super creative kiddo and she loves to draw & paint so we have a fun plan to showcase her artwork that she’ll be able to switch out whenever she wants to. 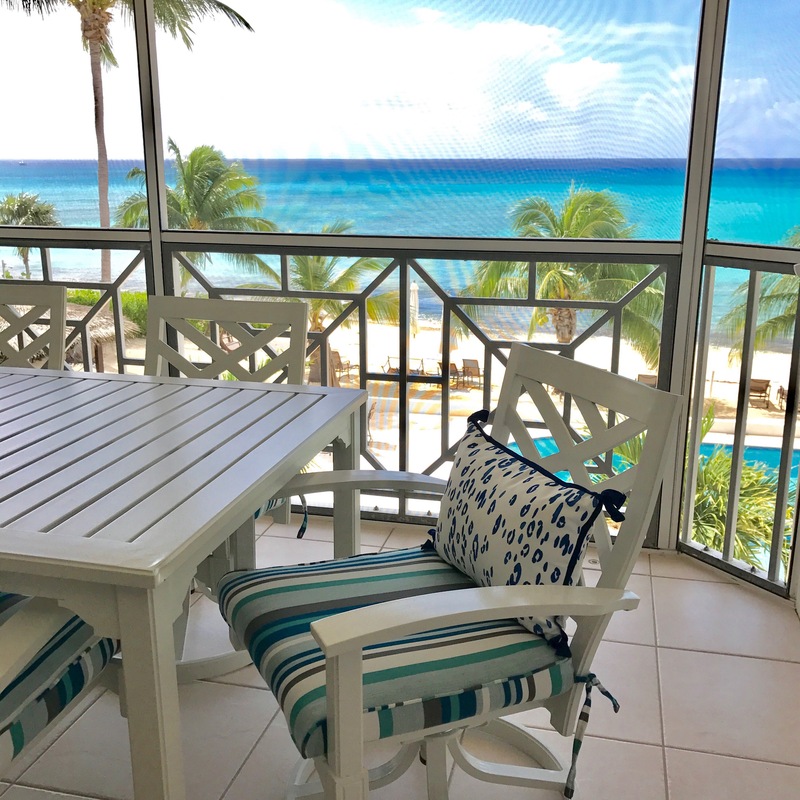 and we’re in the process of several large ground up projects as well as working on adding a new design center at IBB for our finish out specifications. I also just completed my submission for my nomination for Best Interior Designer for the 2017 ARTS Awards. I am truly humbled to have been nominated by my peers for this prestigious award and honored to be amongst some very talented friends from across the country who are also in the running. We also just wrapped up the Winter 2016 edition of IBB at Home which will be out in just a few weeks. So, after the kiddos are in bed, my nights are often consumed by catching up on email & sourcing for projects. With extensive travel going on for projects right now, I’ve been up many nights until 1:00 or 2:00 in the morning & getting up around 5:30 or 6:00 – which I know is not healthy! So, I must prioritize and tackle each day and make the most of it. Unfortunately the last two weeks blogging has fallen to the bottom of the list. I’m sorry for being tardy my friends & readers! 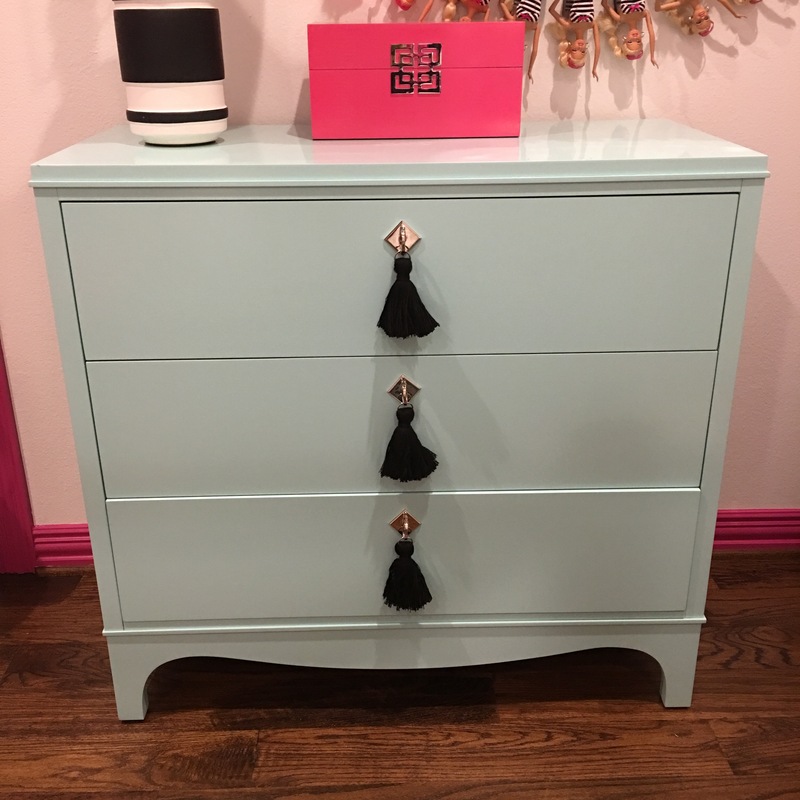 I hope you will love Brooklyn’s room as much as we do. It has certainly been a labor of love. Thank you for letting me explain my absence . You have no idea how much I enjoy hearing from you guys & connecting on social media. Her drapery will be going in soon & her bedding is complete. Stay tuned because the big reveal will be coming up soon! Follow me on Instagram for sneak peeks & other updates.